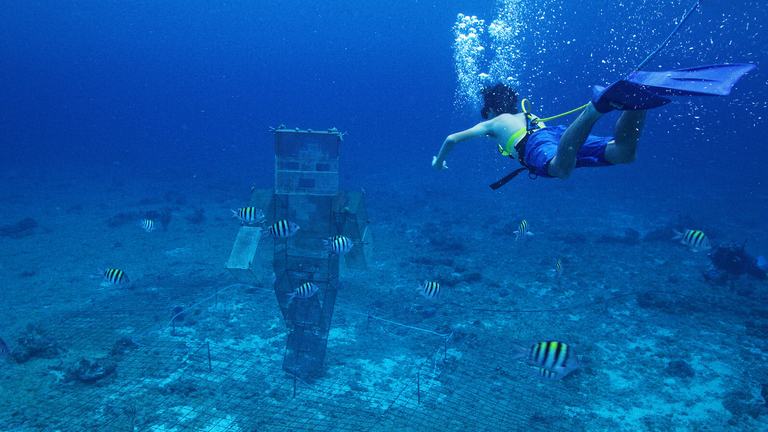 Minecraft Aquatic Update helps raise $100,000 for charity committed to saving coral reefs. To celebrate the Minecraft Aquatic Update, Xbox and Mojang has announced that they have been working with several partners to help the real world oceans through a project called Coral Crafters. Teaming up with Rabahrex, Logdotzip and Stacyplays, who worked with their fans to design unique structures that help restore coral reefs in our oceans. The winning structures are built and then subjected to a low level electrical pulse that encourages limescale to build up. Once completed the structures are then placed in the ocean with nurtured corals attached to them to encourage the re-growth. To raise funds for the charity, The Nature Conservancy, the Minecraft community was asked to vote on the structures to win as well as challenged to placing over ten million coral blocks in game. The ten million target was smashed in a matter of days and as a result $100,000 has now been made to The Nature Conservancy. If you are interested in the work they do, you can visit their website here. Likes to shoot stuff and wear pretty shoes. Is a BEAST at Titanfall.